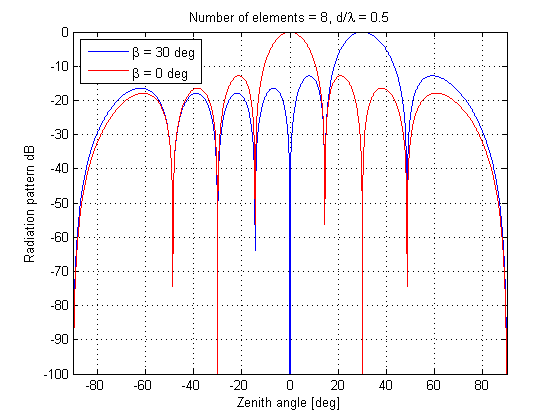 Phased array consisting of N lined up individual isotropic antennas with the composite main antenna beam into vertical direction. 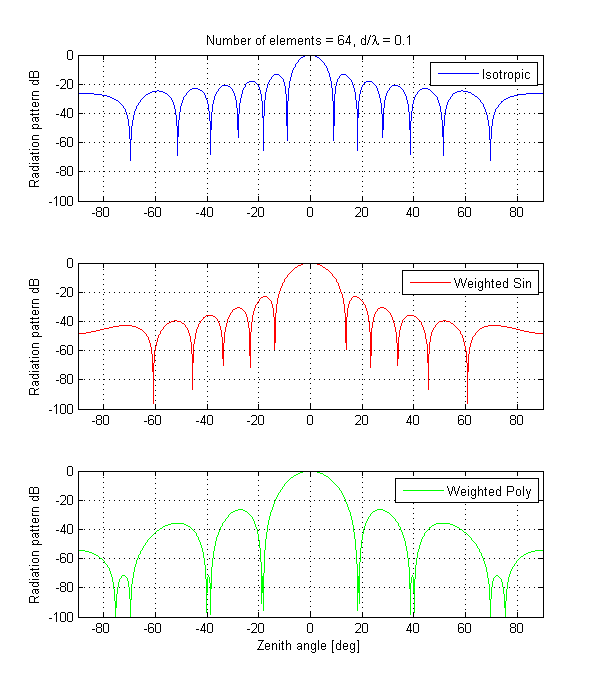 This code based on the governing equation (J. Röttger, The Instrumental Principles of MST Radars, Ch.2.1) and shows how the radiation pattern changes as the parameters are modified. 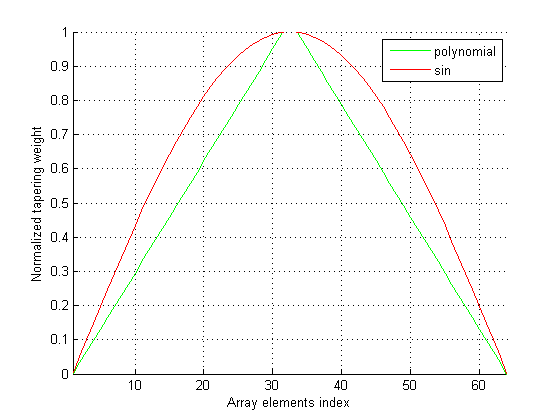 N   = [4 16 64 100 169]; % Number of elements was varied from 4 to 256. % more power towards the center, and less at the edges. By smallsat in Featured on May 13, 2013 .